The last couple of games show the impressive attack this team have. But, for a change, the defense completed two clean sheets. The run of results is perfect... the team is flying and I don't see a reason why it couldn't continue. A 4 point lead with a game in hand is fantastic... It has to be the season? It will be the season! Considering how Spursy the Spurs can be, I sort of agree with Sherwood. It's sort of a now or never moment for Poch. He really is right on threshold of legendary status. From the neutral point of view a great game against Dortmund! 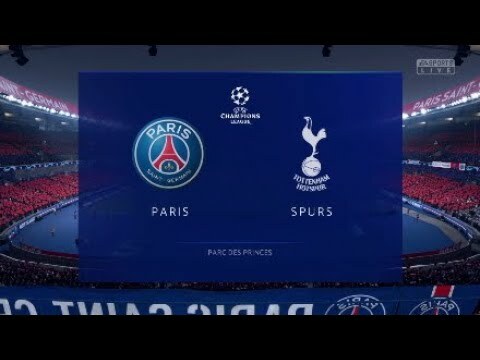 From Spurs' perspective not a very good result so it will all depent on the game against PSG. Will you keep the French below with a draw? After the European match two easy wins in the league with a lot of goals and cleansheets, wonder if you can keep going on this way. 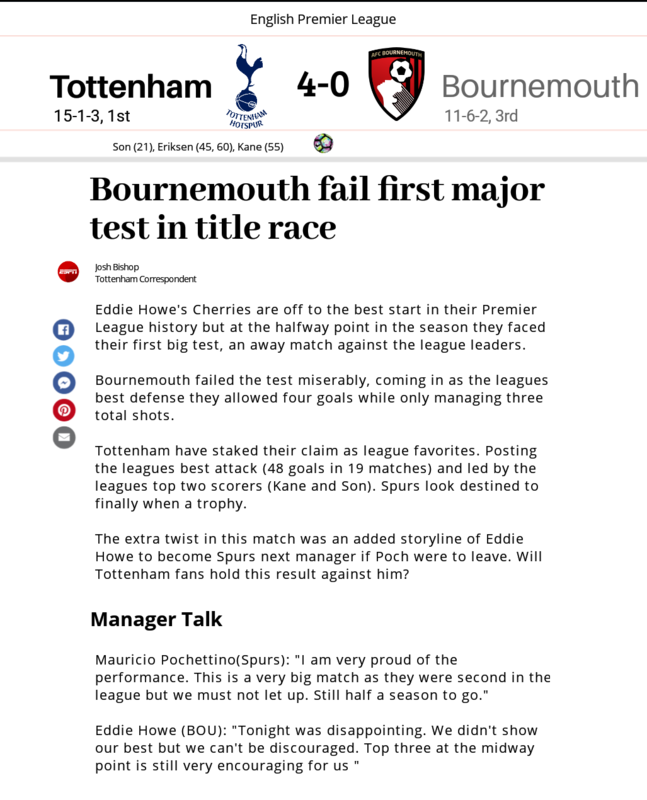 I agree with Sherwood on Poch his current situations, althought I wonder if one trophy will could brake the spell. With a draw PSG will go through so I need to win OR PSV lose/draw against Dortmund to advance. I'm trying to not be over confident but the way the league is going, I have to win it this season. City/United have been poor, Chelsea is falling behind and Arsenal are dreadful. Only way I lose the league is by a massive collapse. Poch has a difficult decision with clear options. Go to United for money and guranteed (or as close to guranteed as it comes) to winning trophies. Or stay at Spurs and have a chance to be a club legend that he would never reach at United. No matter what happens at United, he won't be bigger than Fergie. At Spurs he could be the best of all time. 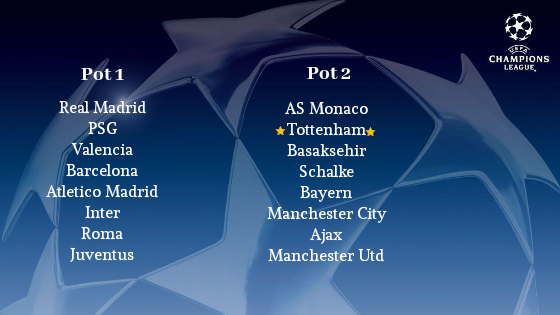 Sad that Spurs couldn't hold the advantage that would have given the team the position to be in pot 1. Once more, the great attacking power was punished by a shaky defense, something that might be a danger in knock out stages where away goals count. Still good result in a very difficult group. Some tough opponents you could face in the next round. As subpop said, great attacking power but the defense needs to do better if you want to play an important role in the knock-out stage. @subpop @db1512 you are both correct, the defense needs to improve. 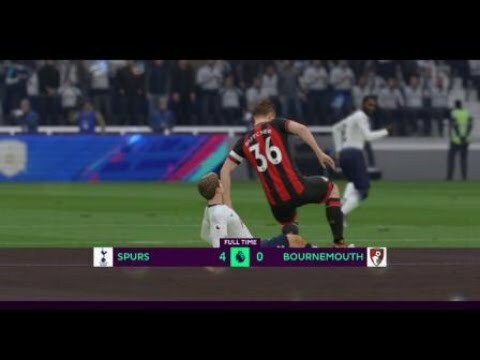 A silly penalty against Dele hurt me this match as I pushed the button to clear the ball away too early and ended up tackling Neymar. The weakness is in the middle just outside the box. You can see two goals were scored from that spot this match and the last few matches. I need to find a way to close out on those positions to block the shots. 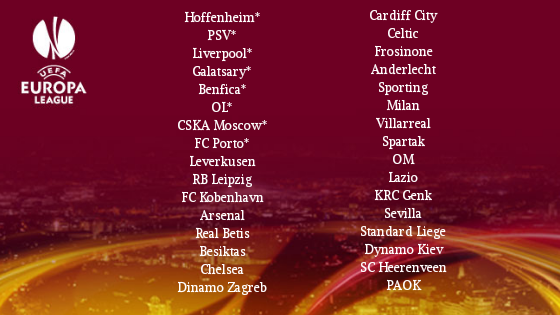 Any of these potential opponents you'd fancy? Man City, Man Utd and PSG have been problems for me which is a concern that we cannot beat the good teams. Luckily in the league the other big clubs are dropping points to lower teams so I have the advantage. Any match up will be tough/exciting. Inter, Roma and Valencia would probably be the "easier" opponents but I'm hoping for Atletico Madrid. I played them in the semi's back in FIFA 15 in Europa League and they advanced by a last minute goal. Probably the most exciting two legs in my FIFA career. 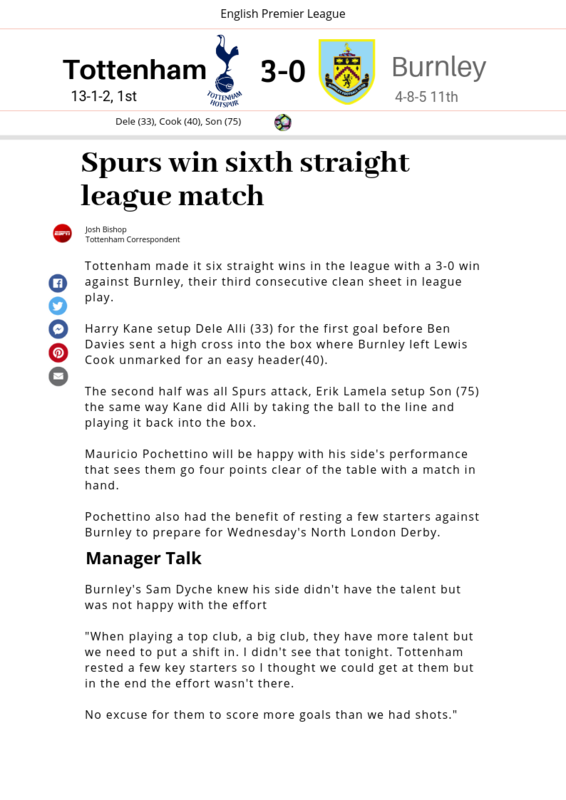 After rolling over Burnley, in a game that seemed very easy for Spurs, a defeat against Arsenal in the derby. The image shown against Burnley was great, creating lots of chances and even the result was too short. 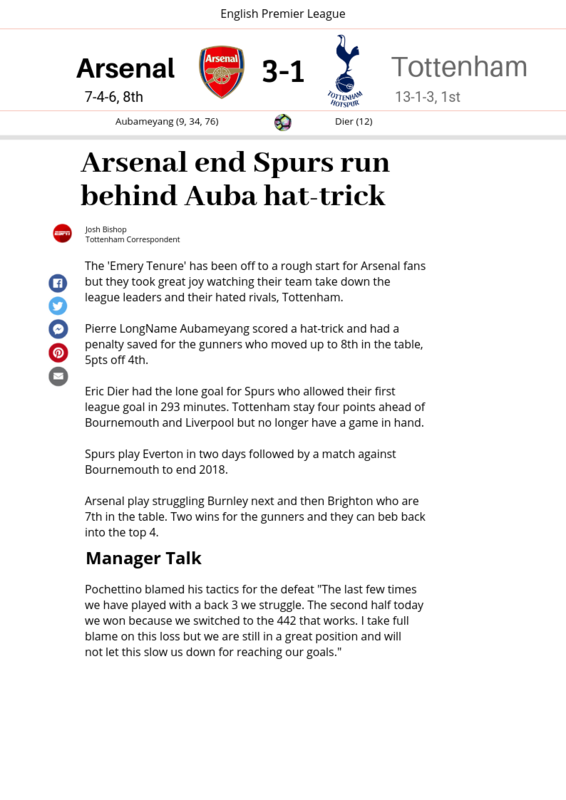 Then Spurs got surprised by Arsenal. 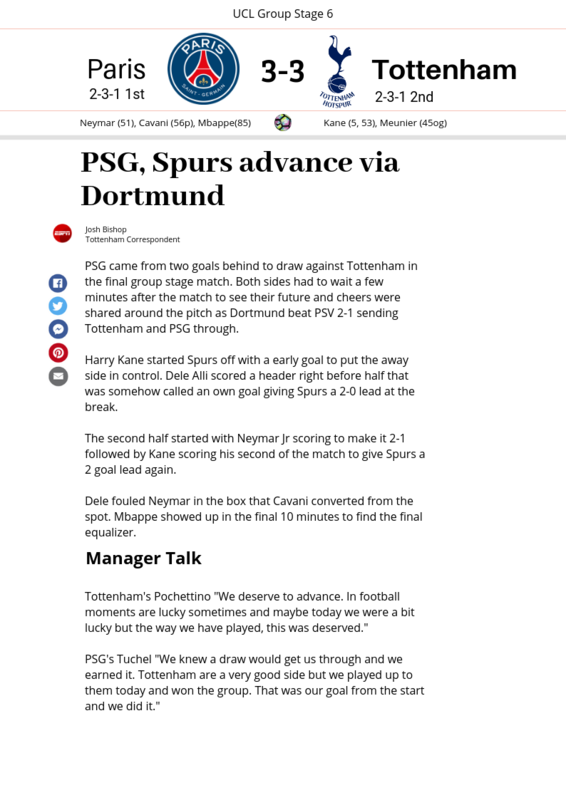 It seems that Poch blames his own tactics. However, Arsenal still is a rival to watch, so no shame in this, except for the pain of losing a derby. 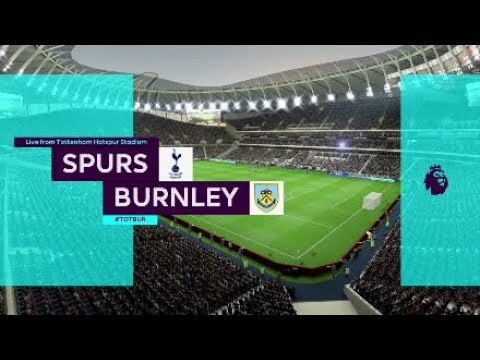 After 17 games, the record of Spurs is great and this defeat can only be seen as an accident. Yes the record is good but the main issue of not beating the top teams is still a major concern for me when it comes to winning a cup. I hope so! I knew the loss was coming but wish it was to anyone else. Very tough draw in the UCL with Juventus but good to see you get through the group, the league itself is going better than expected but the opposition isn't doing enough imo, don't even think you need to invest that much in January if I'm honest. I do like the Cook signing because they desperately need a CM there and Bailly replacing Alderweireld is a strong fix for that position but Sanchez is better I think. 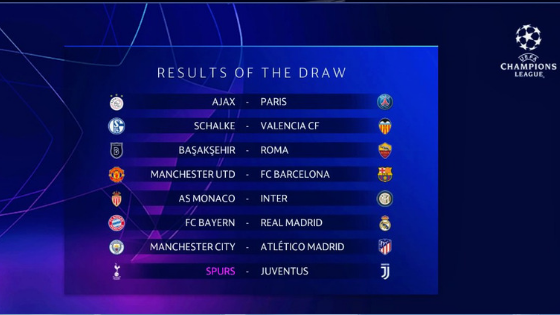 Extremely tough draw at the Champions League that probably made Poch regret that draw against PSV or not being able to win the game vs PSG. There will be time to think of it though. Here's a chance for revenge! There is always shame losing to Arsenal. But you are right, the start of the season has been great so just need to move on. As long as Auba doesn't do it in real life! For January, I do not see many purchases unless a young midfielder or striker pops up. 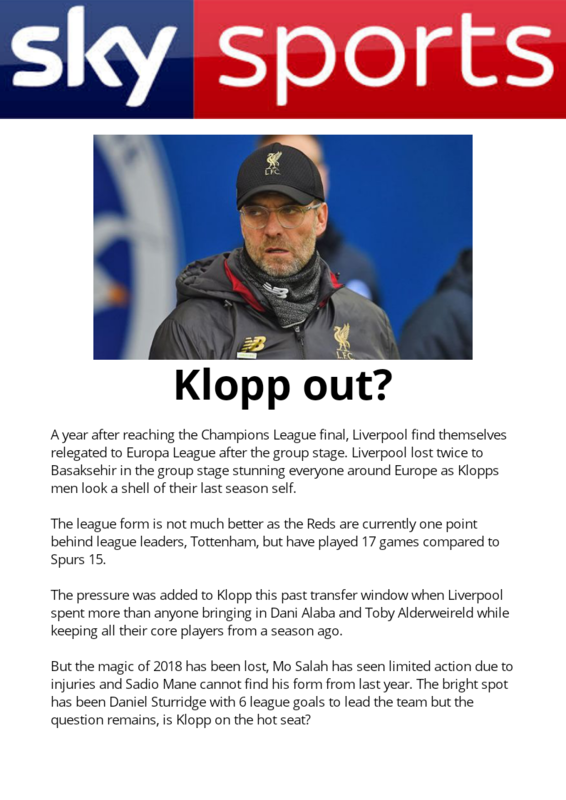 As it is now, the squad is in good shape. 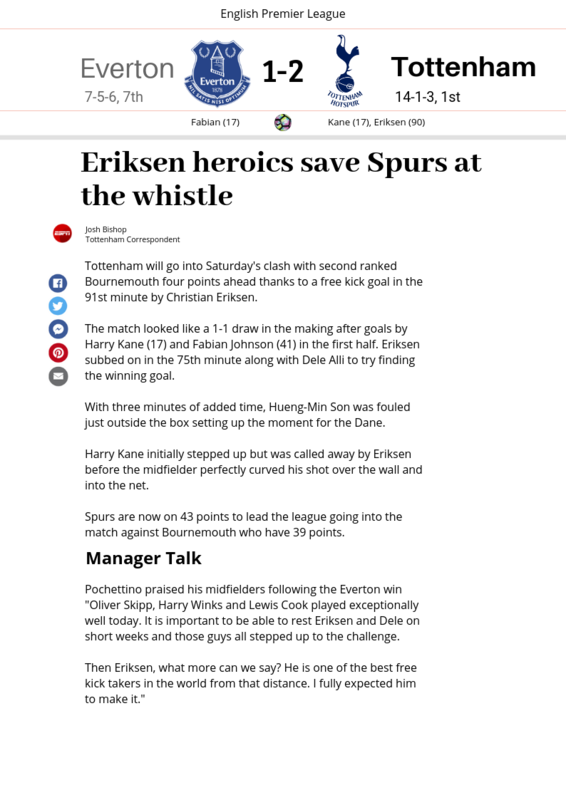 Brilliant late game winner from Eriksen, crucial three points after the defeat against Arsenal. 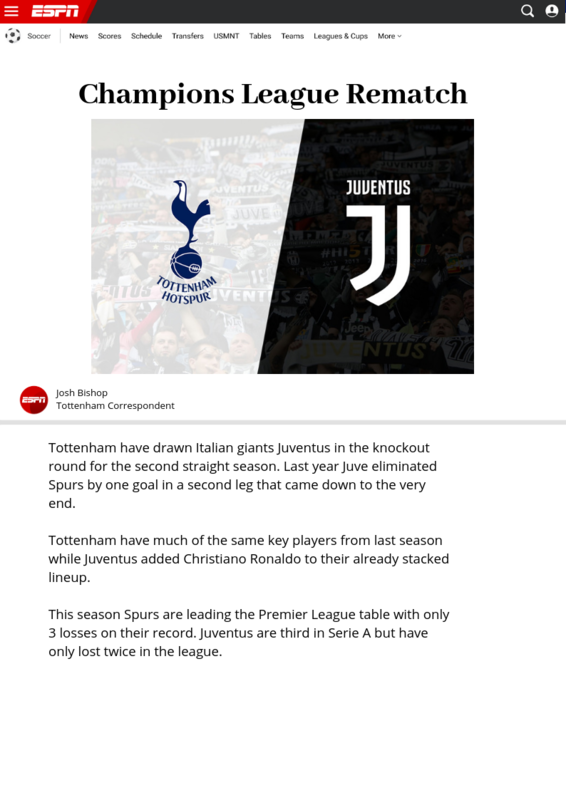 Though draw in the UCL but last season Spurs showed they could meet themselfs with Juve so I won't say you won't have a chance at all. I don't know how many games Spurs have won in the last minutes. Some call it the luck of the champions, but the truth is that shows how competitive this team is. BTW, brillant free kick. We don't see many of them... or none at all. The 3 points were crucial, keeping the 4pt lead in the table with Bournemouth and Liverpool coming up is important. You are right, I think whoever plays better at home will advance. It is vital we score on the road to avoid losing by the away goal rule. I don't know what it is but this team keeps finding a way at the end of matches. 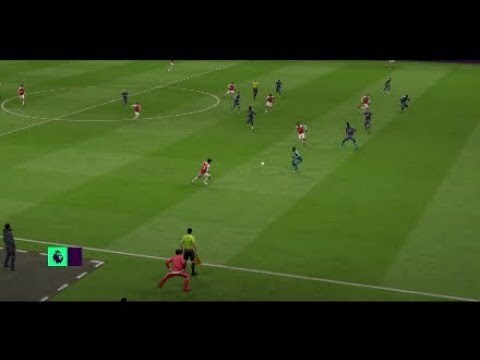 This was the 3rd FK I have made in FIFA19 (including the Palace career) I don't think I made any in FIFA18 or 17. They are rare for me. 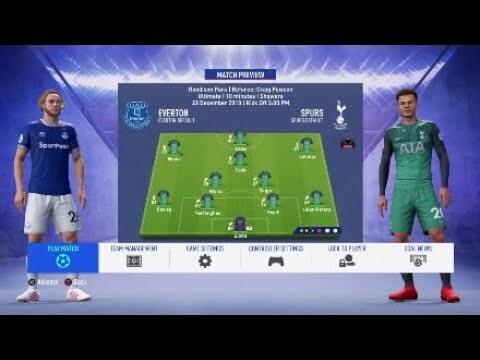 Everton are usually good in FIFA. This year it seems Everton are good and Arsenal are always bad in my saves.